you give up your power to change." I'm trying on some different ideas about change because I think they are interesting as these two quotes are together. How can one grow without change? Change and growth are one in the same it seems to me, so to have growth change is a given. And one of the things that doesn't allow for change is abdicating responsibility to others. One of the most common and classic ways we do that is by finding fault or blaming others. I really work at accepting responsibility for my own thoughts and resultant actions or decisions in my life now, but in days of old, I blamed with gusto. Heck, I couldn't get the job because that idiot was in the way and why did they hire that idiot anyway? Anyone can see if they just looked that he is a loser, ya know? Heck, the stupid decisions these guys make it's a wonder they're still in business. Then, they bring in the son who hasn't got a clue, and what do they expect? Or it was higher up: That idiot Nixon should be run out of town, along with that actor fella Reagan who's always looking like he just swallowed a goldfish, and that Bush guy with his points of light and the kinder gentler nation and all, and the Obama nation, the Clinton fiasco, and well. . . since I've been able to read and hear, I haven't heard one of those Presidents that had their stuff together. . . and besides, who should we blame? Can't be me! I didn't make this mess. . . Sounds harsh, but all of that was real and I hear it today with just as much blame as ever. The only thing that has changed is the name that we blame. And, of course, we blame others in much smaller ways. Like when something of yours goes missing, doesn't the first thought look for a culprit? Or, they forgot to pick up your trash today? Or the power went off, or. . . and the list goes on. All of those things; that blaming of others for what is affecting us, have a tendency to hold us where we are and not allow change. Consequently, growth is slow in coming at best. The solution is to begin the process of consciously choosing to not blame anyone or anything, and to accept responsibility whenever that is possible. As that power is exercised growth is an obvious and joyous result. Happiness Is Having More Control And Less Powerlessness. Spread Some Joy Today--Begin to pay attention to any blaming of any kind that you might do today. Many times we don't even realize we're doing it. Watch the change in you when you decide to stop blaming entirely. It's a joyous responsibility. I've looked at a lot of quotes about growth and the largest percentage of them talk about struggle and going up against adversity, difficulties and how they cause one to become more in order to overcome or to cruise through tough situations. Of course, I do agree that there is truth in the fact that we become more by accepting challenges that cause us to draw more upon the storehouse of talent we tend to keep under lock and key. However, today I want to address something that you might not easily find about growth and that is being around people who encourage and uplift you. There is nothing so pleasant to be around people who believe in you and encourage and uplift you. It is exhilarating. It is also one of the most pleasant ways to grow as well. I know for myself that I have grown very quickly and by giant leaps with the right encouragement and support. It is not always around me, but I endeavor to have those in my life that I can count on for personal encouragement. I might even call on them to help deliver me from my own unbelief from time to time, and it puts me back on the path of positive growth. We probably all have some negatively-oriented people in our lives and maybe there isn't a lot we can do to change that at the moment, but we certainly can find others to surround ourselves with who do inspire us to growth. As positive a person as I am, I need encouragement and inspiration like any other. And. one more thing. . . be that to others. Encourage people you know and love to more growth and greater inspirations. I get more charge personally out of that than anything else I do. That is the purpose of this project and much of what I do. It is joy beyond measure. Growing Should Naturally Encourage Growth In Others--By Example At The Minimum. Spread Some Joy Today--I predict that you will have more people around you who encourage and believe in you as you begin and expand doing that same thing for others. Become an encourager. It is a wonderful profession. Who doesn't have obstacles? Who doesn't have difficulties? When I was young, we all used to think that rich people had it made and had no obstacles or difficulties, that their lives were so smooth, but all you have to do is walk through the grocery store check out to see the multi-millionaires of fame with a list of troubles that would overcome most people. So, the good news about difficulties is that no one is immune. The other thing about the tabloids is that some of those mega stars handle their troubles with dignity and optimism and others go off in tangents of blame and denial. As we do as well. Since none of us are immune to trouble, the only thing that separates us at all then, is how we view them and how we choose to deal with them. Many of us have a tendency to look upon difficulties with fear of consequences and even more fear of imaginary consequences, playing various scenarios in our head as we look at the dread in front of us. Personally, my favorite was blame. There was always someone more deserving than I and I was most happy to oblige. I've had some very interesting changes in the last few years in that I don't get excited about difficulties. A better way to say it is that I don't fight them, struggle, or complain. Instead, I do my best to look upon them as a blessing, although I may not be able to see that so clearly at the time, yet it seems to always prove out to be the case. I'm here to tell you that this is a miraculous transformation in me and what's even better than this is that it is just plain fun. In church, they like to say, "God is good. . . all the time." I sort of take that to heart and it appears to be a fact, provided I choose to embrace it. Spread Some Joy Today--Take a brand new look at one or more of your difficulties. See them as blessings and be thankful for them. In time, you may even be joyous about them. What a difference. It takes the trouble right out of trouble. . .
we must be able to see it in that light." I just realized a few days ago that I have lost thousands of good ideas by not writing them down, so I began carrying a small notepad and pen even on my walks, and now it is amazing how many I am saving. I know our brains remember everything in minute detail, but mine is not nearly as good on recall. Anyway, today I was out for a walk before it got hot and enjoying everything around me and it came to me that I'm having the best year of my entire life. The next thing I realized is that last year was the previous best year of my life. Back to back best years, and as I go back one or two more, I see the same, but further back it was not that way. Instead the Good Ole Days were further back and this year was another in the struggle to find them again. Something changed and I know exactly what it is. What changed is how I view the world and the universe and me and my environment. I see everything differently than in the past. I would have to say that number one would be looking at what is right or good or beautiful and focusing on that instead of seeing what is out of place, wrong or ugly. It's funny to think about it, but nothing around me changed at all, yet it did. I still live in the same house, same neighborhood, same city, have same or similar challenges, see people I've seen for years, and yet it is all so different than it once was. It was me who changed and it was just the way I choose to look at it, them, and my world. Indeed, it is a decision of owning my world even. As part of that process and practice (and by the way, it is joyful practice! ), I can now see that everything that is happening is perfect and good and beneficial. Why me is not a question I ever ask anymore. What a great feeling. Today is the best day ever. This is the best year ever. I look forward with eager anticipation of tomorrow and next year being the my best year ever, so that each and every year is positively stacked on top on one another to lift me ever higher. I Love Controlling How Good I Feel By Choosing To. Spread Some Joy Today--Today is the first day of the rest of my life is good, but how about today is the best day of the rest of my life? So much better, don't you think? The fact that we may choose to do less, have less, or be less is just fine. What I think is important is that the only lack or limitation is in our own mind. It's like driving a Chevy Malibu with a 454 V-8. Just knowing all that power is there is comforting. Just using it periodically in very short bursts is fun. Feeling the excess underneath the idle as I cruise slowly, knowing full well that at any time I choose regardless of speed limit signs, or cops behind billboards, that I can delve into that resource just bolsters my confidence and I feel more alive. Now, if I really want to, I am confident enough to race it full out scared to life with excitement. . . and do it again and again, and any time I choose. "The pupil can only educate himself. the better from the poorer of God's vessels." Today, I got to do one of my favorite things. 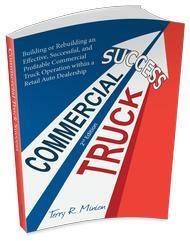 I got to give a class that I call Commercial Trucks 101. I've done it well over a hundred times to over a thousand people over time. I've been teaching this class since 1995 and since it is mostly based on fundamentals, it really hasn't changed. I think it is a great class because there are some unique ways complicated information is made simple, and also memorable. What does change is the participants, or students and what they bring to the class. Some come because they were told to. I can live with that. Some come with an attitude that indicates they are not the least bit interested. I've been known to radically eject them. Most are at least mildly interested for a wide variety of reasons, and generally the class is a bit of fun and there is good participation which makes it more fun for everyone, including me. Once in a while I get the rare and distinct privilege to have students who show up early and demonstrate they are really interested and today was one of those occasions. I even stayed an hour over and extended the training because they were so receptive to it. I give it my best each and every time I give this class regardless of who is attending, and I so appreciate those that come ready to hear, learn, and do. It makes my day, and today I enjoyed this immensely. This is one of the things I do that I love to do. Whenever I do something that I really love to do, I seem to excel at it and am thrilled by it at the same time. Even if only part of a day or part of a week goes like that, any other obstacles are insignificant in comparison. When The Student Is Ready, The Teacher Is Delighted! Spread Some Joy Today--Do something that you love to do! Just for the joy of it. many a truth is strangled." of what we have unlearned." The last couple of months has been fascinating. Things are going okay, but it was as if something was missing. In looking back, it seems to me like a calm spot before a storm; a lull; a curious pause; much like treading water rather than swimming. Then, two days ago in a tinge of a funk, I went and watched some inspiring videos on YouTube to see if I could give myself an injection of improved well being. I watched about five and there was one that really stood out. I wasn't exactly sure why, but I felt that it was important, so I shared it with some of my team. It certainly had value in the basic message, but I felt that it was speaking to me in a deeper way, it's just that I couldn't quite see that then. I haven't walked for a couple days, and decided to go for a five-miler and it was on this walk that it all started coming together. I was amazed and excited about the picture becoming clear, and as the Mark Twain quote above, I was also noticing that it wasn't something new, but something I learned a long time ago, but when combined now with the accumulation of learning that I've come to, it may as well be new because it used to stand alone and now it is full of synergy. I am expecting that it will be transformative for my life and business both. I'm not going to say what it is right now, because I'm going to test it, then I'll share it, but what I wanted to share is that it is fascinating how if you stay on the path, you will come through and that learning is a layered thing where one layer has significance in other layers--indeed, it is almost as if the layers are charged with electricity and one layer is communicating with another encouraging growth and expansion. There isn't any need to be concerned because pretty soon the layers create synergy. This is where the other interesting quote comes in. In the spider-web of facts, many a truth is strangled. Well, I'm not sure about the strangled part, but certainly hidden. The other thing about that is that many times we learn something, but it is a piece. It's good, but it isn't the whole, but only part of the whole. It seems to me like a piece in a picture puzzle, but there is more to come before we see the picture. Today, that picture came into view for me. So, keep learning and expanding. It is always fun for me anyway, and it is so beneficial as it accumulates. Pauses Have Value. Everything Has Value. Spread Some Joy Today--Don't give up on expansion. It is natural. Seek joy, keep learning and growing. Enjoy the journey! for you to gain, those you deal with should gain as well." I've done business with people for over 43 years, and I've always felt that each transaction must have two winners--the seller and the buyer--with no losers, otherwise it isn't a sale but robbery or theft. Back in the mid-1970s, I was a new sales manager and had held that title for a year or so when I hired an experienced car salesman at the dealership I worked at. I normally liked to hire someone never in the car business and teach them the way I wanted, but I took the easy way this time. He was older and could have been wiser, but I overheard him putting down the dealership on the showroom floor with a couple of the other salespeople. He had only been there about a week and a half, and I called him into the office and fired him on the spot. In over 30 years in the car business, I had just three or four customers that I did the same thing to. One young girl and her overbearing mother came in an bought a camaro. Then the stuff hit the fan and we were accused of all sorts of ridiculous things. Although it is extremely rare in the car business to give people their money back, I bought the car back, refunded their money in full and politely asked them to go somewhere else to buy. They were shocked, and I was relieved greatly. Yes, I fired the customer and the salesman, but here's the deal. . . I was giving value and not getting any in return. It wasn't a mutually beneficial arrangement. It needs to be win-win. Sometimes it is in the best interests of the seller to not sell or to unsell. Some unhappy clients we can live with because they have a problem, they're upset, but they understand that we can take care of it and usually allow us to do so and it all works out well. In fact, some of those go on to be the best clients because they got to see how things were handled when they weren't sure how we would handle it and they became convinced and became loyal clients as a result. Then there are a very few others that make the hair on your back stand up as a warning of things to come that doesn't appear very pleasant. Best to cut that cord as early as possible. I have learned that there are some clients that I don't want to deal with at all and they wouldn't benefit our company and our objectives. This is a situation where I completely ignore the dollars of potential profit for the sake of my sanity and peace. You Can Feel It When It Is Happening. . . Go Not Vindictively, But With Your Feeling. It's Really An Act Of Love Of Yourself! Spread Some Joy Today--Maybe today would be a good day to take a little walk outdoors in nature and just let your eyes gorge on the beauty that surrounds you. "People have a hard time letting go of their suffering. Out of fear of the unknown, they prefer suffering that is familiar." Tie a rope 10' long to your leg, fasten the other end to a post in the ground, and no matter which direction you choose to travel, you can not get more than 10' from the post. Now, cut yourself some slack and tie a 30' rope to your leg and fasten the other end to a post in the ground. Now no matter what direction you decide to go, you cannot go further than 30' feet. But it might feel better. You might feel more freedom, more flexibility, maybe even more joy. Then, when some person comes along with a crazy notion to cut the rope entirely and says that you can now travel as far as you desire in any direction, we may find ourselves so comfortable with where we have been that the idea of not having a rope attached to our leg and the pole is ludicrous. Most often, things must build up until there develops a strong desire to change before new information will get through, or before the rope is lengthened, released from its tether or even removed completely. I say hallelujah to that day! It is a day of decision and releasing fear (or ignoring it) to see things from a different perspective. You've grown and felt the excitement of that growth and in those new fangled ideas and thoughts. You're eager for more and becoming ever more grateful for the opportunities that initial decision has allowed you. Things are different now. You're a different person. Not so different that people won't recognize you, but you feel so far removed from where you were inside, that you project that confidence and growth on the outside and people notice it. They may not understand it, or agree with your decision, but they notice it. It is unmistakable. Okay, now go back to the 10' rope, put it back on your leg and the post. Heck, bypass the 10' one and go straight to the 30' rope that used to feel good enough to you. Now it feels as if life as you now know it is over, doesn't it? You can't go back. You refuse to go back. It is virtually impossible to go back. And, the good news is that there will never be a good enough reason to ever go back. Go Onward From Here. There Are More Ropes To Cut. Spread Some Joy Today--It's always a good idea to check your comfort zone. Experiencing some expansion is how growth happens. Untie your rope just for today and see how that feels. "Every day, passion speaks to us through our feelings. truly love you want you to love yourself." Risk. Sometimes we're just afraid to risk. Trust. Sometimes we're just afraid to trust. Believe. Sometime we're just afraid to believe, or don't know how to believe. We are important and the very first place that is meaningful is to ourselves. But others around us have their ideas and want me to fit in. I have learned to finally say, no thanks. I don't think a life can be well lived without believing in ourselves; or rather, a better way to say it is loving ourselves. This is one of those very hidden things that people spend a lot of time and energy trying to cover up. In fact, in my own experience with people, I see that self-love or self-acceptance is not nearly so common as some might believe. Encouragement. There is nothing so valuable and helpful for self-love and self-acceptance as encouragement. Of course, encouragement from others is nice and often we may seek that and hope for it and plan for it, but as Jim Rohn used to point out, what if they don't show up? When it comes down to it, we are in charge and accepting that responsibility is a powerful step toward believing in ourselves. We need to encourage ourselves and there are a number of ways to do that. One very powerful way is through the use of affirmations, especially the ones that begin with I am. Those are the two most powerful words to put in an affirmation. A little courage is good, but courage is not so important as lifting ourselves up, then courage will be a natural result. Then, one day, we just begin practicing creating our own lives in a way we feel good about. Others may not agree. This is the place where courage comes into play, and it will take less each time. The most important thing about self-acceptance is valuing ourselves and learning to appreciate our own thinking and our own ability to decide. "Do What You Must, And Your Friends Will Adjust." supposed to be doing at that moment." I love working and I love to get things done, and I do get a lot of things done. I even have been known to amaze a few people with what I can get done, or how many things I can be doing, but I don't amaze myself. The reason is that I know full well how many things I want to do and don't, and should do and don't, or need to do and don't. I'm a skilled procrastinator sometimes. But, today was a victory over procrastination! I completed a task that has been bothering me for many months and I got it done in half a day. Hooray! I was beginning to wonder about my own drive on that task. When I run up on something that I don't know where things are, or are unfamiliar, or the sheer complications of the idea of doing a task gets in the way, it is difficult to get past the initial commitment to get it done. Sometimes deadlines work, or stating a commitment to others that it will be done in a certain time frame, and other times that strategy just makes it worse. Basically, I just have to decide that it is important enough right now that I begin the process and do my best to stick to it, and it is amazing that it is not nearly as complicated as it seems on the surface. So, if you have a tendency to procrastinate on some things, I feel your pain, and support your efforts (or lack of them) as I would my own. I just wish the best for you and hope you succeed as you desire. Spread Some Joy Today--Don't worry. . . be happy! These are the things that I learned from a time of reading and studying the Bible that really stood out for me and that still have an effect on me many years later. "Rejoice in the Lord always; again I will say, rejoice! Let your forbearing spirit be known to all men. The Lord is near. Today is the final installment in Bible Week. I want to try to put together into one little package the very short summary version of What I Learned From The Bible. First of all, it is subject to personal interpretation, as it should be. For someone else to say what you should get out of it is ineffective at best. I've heard hundreds of sermons from many pastors and that is what they do. Be the same authority for yourself. At least that's what I learned to do. Some will always disagree and that is okay. What I took from the Bible that stays with me today is the depth of the love of Jesus. There is no greater love that I have known. I am reminded to love others and to be of good cheer. I am reminded to be thankful for everything, not just some things. I am reminded that I am an example and that is my responsibility. I am reminded that God gave me life and the power of choice and that what I do with that is also my responsibility--and my joy. The parable of the talents reminds me of that and encourages me to step out. I am reminded to praise God, but not in the sense that I need to raise my arms and look up or do anything special, but to be appreciative of all that God has created--including myself--which many of us forget. I now find myself praising God all day long and that is my praying unceasingly. I know I didn't create it, so I give credit where it is due. I am reminded and I put into what I think is my best song, that God is not just in church, (where is God not?) that there is only one thing we can do to repay his blessings and that is to give Him away. And that doesn't mean joining a denomination, congregation or any kind of group, or even religion for that matter. The way to give Him away is by giving love. Love is the cure and the hope and the light and the word. If I love myself I repay the blessings and then I share that love and the blessings with others. Study Exposes Simplicity Through Understanding. The Simplicity Of The Bible Is Love. Spread Some Joy Today--How many people can you send loving thoughts and messages to today? and build up one another." "1 Thessalonians 5:11 says: "Therefore, encourage one another, and build up one another. . ." The theme for this devotional message is to encourage one another-in church among believers and outside among the world. The value of encouragement cannot be understated in my opinion. Most of you know that I write songs. I started to write songs in earnest in late June of 1983. The first song was to be played by a band that I hired and sang by them. It came out okay. I later recorded it on an album myself. That was a success in my mind, so I felt that I could write more. I went out and bought some recording equipment and started trying to write songs. I started writing a lot of them and recording them, learning how to record music. I was so excited, I had to share them with someone. A co-worker was interested in my projects and listened to a couple of the songs. He loved them and continued to encourage me to do more and more. I couldn't wait to get back to work after the weekend to play him some of the new songs written and recorded during the weekend. Without his encouragement during this period, I doubt seriously if I would be writing songs today. I owe him a debt of gratitude for that unselfish encouragement. I still have all of those early recordings and when I listen now, I wonder what he heard that made him encourage me. They are terrible. Of course, I loved them because they were created by me, but why did he like them? His encouragement was so sincere, that I couldn't doubt him. The dictionary says that to encourage is to inspire with hope, courage, or confidence; to stimulate; spur, and give support to. Anyone who has children knows that encouragement is the only thing that will get a child from crawling to walking. There are only two motivations: desire for gain, and fear of loss. The most powerful is the desire for gain. That gain may be anything that we need and want. Teaching fear as a motivation is always a (in my experience) short-lived success, if that. I can imagine what might have happened had this person I've been talking about laughed at my music efforts, or worse, condemned me for it. Throughout the day, we have opportunities to encourage people. Many of them we miss. Instead we may participate in the tearing down of someone, perhaps even behind their back. I learned from a sales trainer that there are two ways to have the tallest building. One is to concentrate on building your building, the other is to tear everyone else's down so that yours becomes the tallest. Christians should be known as "builders," not "demolition experts." Jesus was THE encourager. Think about it. He took a rag-tag team of twelve people and turned them into the leaders of His church. Would we have done anything like that? What a group they must have been at the start. But He continued to encourage them-as He even now does for us. Let us all find ways every day to encourage and uplift one another-not just each other in the church as brothers in Christ, but throughout our world treating everyone as brothers in Christ. This one thing alone will change the world because it is the essence of loving one another." "Where Never Is Heard. . . A Discouraging Word. . ."
Spread Some Joy Today--You know the best way to get encouragement of others to you? Be an encouragement to others FIRST. I guarantee that you will soon find your encouragment in like quantity. The very first time I read and heard this quote, I loved it. I didn't understand it, but I loved the whole idea of being of that mindset. As I grew to understand it, I loved it even more, and even today, I think of it often. If I were to say there was one thing that has changed my life for the better (as in joy and peace of mind at the same time), it would be in giving thanks and becoming a grateful person. It's so easy to just do our things all day and not even give all the blessings around us another thought. We've come to expect the sun to come up and go down, and the thousands of other things that go on all around us that are of benefit to us. We often become complacent about them and the amount of joy we miss by doing that is so huge. It is interesting to me that the line, "Rejoice always;" is verse 16. It is easily one of the shortest verses in the entire Bible, being only two words, yet they are such powerful words. I have come to revere them and seek to have that frame of mind; that joy and power all of the time. I periodically remind myself to make sure. I want to rejoice always! Absolutely! Verse 17 is only one word longer: "pray without ceasing." It took me a little time to get hold of that line, but once hold of it, it is powerful indeed. It's like a hard-wired connection. And, verse 18, "in everything give thanks. . ." is something I have come to be a part of me and I take it seriously. Not sternly, but what I mean by seriously, is that I endeavor to be thankful regardless of how it might look. It says in everything, not just the happy things or just the good things, but in all things or everything. I practice this every day now and it gets more natural all the time. The only problem with it is that you will most likely feel alone in this. That is why I might not be talking about giving thanks, but just doing it quietly. The majority don't understand that this is possible, or right. That's okay. Seek joy is a great motto to have and I do and the best way to joy is with a thankful heart and mind. Gratitude Is A Decision. Joy Is A Decision. Feeling Good Is A Decision. Circumstances Do Not Rule. Spread Some Joy Today--What if you were grateful all day long? What if you were thankful in all things, under all circumstances, at all times? Your joy would run wild! How exciting! And trust in the Lord." Loving is so much easier than trusting. Relaxing judgement in order to be loving is easy in comparison with letting go of control (or, the fantasy of control) and trusting. I learned a very valuable lesson at a men's retreat where we had many different physical lessons in trusting our fellow brothers. The last of these tests was falling backward off an 8' platform with hands and arms folded in anticipation of my brothers catching me. Most of us did it that same evening and it was a powerful cap to a wonderful weekend--easily one of the most valuable times I've ever had. Since then about 10 years ago, I've practiced trusting and it is certainly worth practicing. Now I trust God in most of what I do. It has relieved me of worry and concern to a high degree. Though my goal would be complete trust, I find that I am not completely there, but I am trusting and I am relieved, and it is working very nicely. The best thing from this trust is the lack of fear in comparison with my thinking for most of my life. I'm just not afraid as I used to be about many things. I make decisions of what I think is right or best and then I trust that no matter what, everything will work out just fine. On my wall is still the sign saying, "WHAT is my job, and HOW is God's job." God gave me the what, and I give Him the how. That's the trust deal. God gave me free will and I do the best I can with what I have to work with. I decide what I want, and start moving toward it trusting that God will help guide the way. And, He does. This is another of the most valuable things I've learned from the Bible, and it was another that I put into song. This trust deepens as time goes forward and I am so thankful to be on this path of practicing that trust. I Only Know A Few Things. I'm An Open Learner; However, God Knows All Things. I'll Trust That. Spread Some Joy Today--Rely on yourself to make the best decisions that you can, trusting that your backup team will support you and help make any needed corrections. Then say, Thank You Lord! one another just as I have loved you." During my 10 years in church, I wrote over a hundred songs and played and sang most all of them, some many times. Looking back on some of those songs shows me what I learned from the Bible that I felt was important and worth singing about. One of the earliest songs I wrote in 1997 was called Love One Another. It's a silly simple song, but it expressed the same sentiment as John 15:12. I have endeavored to do just that. It isn't always easy, but it does get easier the more I practice. Sometimes I might feel a bit on envy as if someone is better than me in station or knowledge or skill, but I have learned to let that go as quickly as I can and just love them. They are perfect the way they are and I don't need to or really want to change them. Sometimes I might feel a little irritated by someone in their disrespect or ignorance or anger or hate, but I have learned to let that go as quickly as I can and just love them the way they are. I might have an instant reaction to someone for whatever reason, but now I let that go and just love them. I can say this truly, that I have come to love everyone everywhere, and the thing that would improve that even more would be to not ever have an instant reaction in any other way than to love them. I see people that I might only see once a year at an event and I just smile and love them. It is so great to see them. We may not have any real kind of relationship, but I love them and appreciate them, and that is the relationship to me. I may not do things or think the way they do, and maybe if we were around each other more often, I would find things I didn't agree with or like, but loving them will prevail. It is a wondrous place to me and it may not bring another soul joy, but it brings me oceans full. I Am Very Selfish That Way . . . Spread Some Joy Today--The key to loving others to me is in relaxing judgement and just appreciating them the way they are. Everyone deserves love. Every One. Including ourselves! and pray for those who persecute you." Shortly after becoming involved in church at about 45, I was intrigued by this quote from Matthew about loving your enemies and praying for or blessing those who persecute you. As a result, I grew to love the whole idea of it and practiced it whenever I could. I got to the point that I inspired other people in my passion for this, but it isn't something that came naturally, but from practice and love of the idea. Proverbs 25:21-22 is another place this stood out for me. "If your enemy is hungry, give him good to eat; and if he is thirsty, give him water to drink; For you will heap burning coals on his head, and the Lord will reward you." I use this concept in business and it has been a huge benefit. Many people talk about competition as if they are enemies trying to take away what we have, seeking to destroy us. I reject that idea and promote helping others and lifting them up and even helping them in some ways to grow their business. It has worked for us like magic. It's the same concept as the Matthew quote. What's also interesting about this and our business approach is that it startles people, catching them off guard, and even becoming friends and supporters as time goes forward. I absolutely love it. This whole idea is easily one of the greatest things I've ever learned or practiced. Love Is Always The Best Decision. Spread Some Joy Today--If you have any people that you think are against you, warm to the concept of blessing them and loving them as if they were actually a freiend. I predict it won't be long before they are. let him be the first to throw a stone at her." and by your standard of measure, it will be measured to you." These are the two passages I have reflected on the most and continue to this day working on perfecting. My ego tries to take charge, and used to succeed quite often, but I keep reminding myself that I have no right to judge anyone, and if I did, there would be plenty to judge me on. Another way I learned this that has also stuck with me is from my first philosophical mentor, Jim Rohn. He said essentially, "there are two ways to have the tallest building. One is to become known as a builder, the other as a destroyer by tearing everyone else's down." Though my ego is still a part of me, it is a part I have much control over now. As situations come up where I am speaking ill of someone or something, I often stop mid-sentence now and let it go. These passages have helped me to stay aware of my place and position, and exude love rather than condemnation. The Speck In My Brother's Eye And The Log In Mine. That Puts It In Proper Perspective. . . Spread Some Joy Today--Be non-judgemental for today. It could become a life-long work of joy! going for it is more important than winning or losing." in the corner by the fireside and simply look on." Many people I know are close to and looking forward to retirement; taking it easy, not working, planning leisure, and the good life. I cannot tell you why, but that idea has never appealed to me in the slightest. I know there are many who live a long life in retirement and it suits them well, and I am very happy for them. It's strange and funny to some that at the age I am now, I am more active and busier than in my entire life. But, I love it and I feel alive and frankly, I feel younger too! (Actually, mentally, I've never gone past 35). I'm just a couple of months away from when I could retire and collect Social Security. Whoopie! No big deal. I put off starting a business for a lot of years. But, like Arthur Ashe says so well, you've got to get to the stage in life where going for it is more important. I got there and am loving this place. You've heard the phrase, "you're not getting any younger," often used as an excuse to do something before it's too late. Yet, I feel like I'm getting younger and I am sure it is the decision to go for it that is responsible. I was talking with the manager of our bank and she was saying that having the security and stability of the job was what was most important to her and that taking risks was not to her liking. Risk has never frightened me much, but it is wonderful that we all get to choose what we want and how we want to do it. And, by the way, risk has its rewards! GO FOR IT! . . . or not . . . Spread Some Joy Today--Here's two of my favorite questions whenever I sense a bit of indecision or fear. 1. What am I really afraid of? And, 2. What's the worst thing that can happen? That covers most of them. "Never confuse your mistakes with your value as a human being. you exist. And no amount of triumphs or tribulations can ever change that. Unconditional self acceptance is the core of a peaceful mind." Probably most of us have had issues with self acceptance, and many of us probably struggled with this for the better part of a lifetime. It's not something we wear on our shirt sleeve, but it is there and it always holds us back from a more bountiful and fulfilling life. The good news is that progress is helpful and meaningful. Confidence comes from more self acceptance, and the more we accept--or more aptly put, love ourselves, the more joy we will naturally have. Never say never. It is never too late. I love the quote above: "Never confuse your mistakes with your value as a human being." We are "perfectly valuable, creative, [and] worthwhile simply because [we] exist." We don't have to do or be anything to qualify. We are. Even the triumphs won't change that. Even the tribulations won't change that. This takes us back to the book discussed a few days ago, Love Is Letting Go Of Fear. That book is all about self acceptance and not seeing things based on other people's rules. For some, it might be a good idea to write out this quote and carry it around for a month reading it many times each day. The last thing I love about this quote is that "unconditional self acceptance is the core of a peaceful mind." To have confidence is to have peace. To love ourselves is to have peace. A peaceful mind is a powerful thing. It is surely a benevolent power, but a power nonetheless. Peace Doesn't Come From Struggle, It Comes From Acceptance, Allowing, Releasing. Self Acceptance Is All Of That. Spread Some Joy Today--Next time you get upset with someone or about something, try something new. Try relaxing those thoughts by pretending that you are holding a rope pulling hard against someone or something that is just as strong as you are. Now, just let go of the rope. Take a deep breath and exhale slowly. If you feel tension, let go of the rope again. This will work wonders for your day. "You always do what you want to do. Only you have the power to choose for yourself." The quote above is one of the toughest ideas for me to accept. It's easy to think that we choose certain things, but it is a whole different story to believe we choose other things--especially bad things, or negative things. I think I've finally allowed that concept to become part of me after taking a hard look at a lot of choices I've made, and I've been able to see that no matter what the reason I gave, or excuse I created, in the end, I chose. It's not just acts either. I am always choosing my thoughts and consequently, how I feel. I can choose to be depressed, or elated, and I've chosen both, though I used to think that others created those feelings in me. Now I know it is the other way around. I call it accepting responsibility for my life. Other people are certainly participants, but I always choose for me. It's Actually A Relief To Know I'm Responsible. Spread Some Joy Today--Give someone you like a gift. It need not be expensive. Often the simplist gifts carry the best response and create lasting joy. we don't even see them as miracles anymore. instead of appreciating the miracles that are abound"
I had lunch today with a dear friend and in part of our conversation a book I had recommended came up. It is one of my top ten favorite books I've ever read, Awaken the Giant Within by Anthony Robbins. So, tonight, as I passed my bookshelf, I pulled out my well worn hardcover copy and randomly thumbed about and the chapter titled, Rules: If You're Not Happy, Here's Why, got my attention. The quote above came as a result of Anthony going to Hawaii some years ago to see the total eclipse of the sun. Thousands showed up to do the same and just as it was set to begin, clouds covered the sky and all the people were unable to see the event, which happens very rarely. As they all watched it on television, Anthony was observing all the different reactions, complaints and such about how they felt about missing the rare event. He said that, "each person responded according to their rules: their beliefs about what had to happen in order for them to feel good about this experience." I see that play out almost every day. I know some who have so many rules about how things "should" be that it is pretty much impossible for them to feel good because it is so very rare that all the stars would line up in that order at that moment. What I have found is that the more rules a person has about the way things should or need to be, the less happiness they can experience and it is simply a result of their own beliefs. Anthony went on to say that the eclipse would be cool, but it was just 4 minutes of darkness and wasn't any more a miracle than the sun coming up every morning, and that we become "habituated," and accustomed to that miracle happening every day, so we give it little or no attention. Certainly, the media gives it no attention. It isn't rare. Yet, it is a miracle if ever there was one, as are sunsets, the Sun, the Earth, the Stars, the air we breathe, the oceans, each other, animals. In fact, we are completely surrounded and filled with miracles all day, every day of our existence. The good news is that we can begin any moment to appreciate some of these things any time we want, as often as we want regardless of how many times the sun comes up. I was thinking today what a wonderful place to live would be so that I could watch the sunset any and every evening that I wanted to. In fact, it is sort of a tradition in island areas where there are no obstructions to visibility, to gather at sunset and stand in awe of the wonder of it. I've seen it from Hawaii many times and it is a special treat from the top of Mount Tamalpais near San Francisco. But, I can see it from where I live too, so I have no requirements to stop me. Today is a good day to begin to take a refreshed look at everything and every one that is around us and begin to regularly appreciate the thousands of miracles right before our eyes. Spread Some Joy Today--Examine your rules about how things need to be in order that you feel good. Maybe it is time to let some of them go. It is a joyous day when you just feel good because you choose to! Practice makes perfect! they have made of the value of things." It would be convenient and easy to relate these two quotes to the stock market and issues of late, but I will let that silliness speak for itself. . . I was reading a new book I just downloaded to my Kindle by A. J. Greer called 40 Day Principles to Love and Prosperity, and in day 18, she speaks of value. I would refer what she is saying as being alive in and paying attention to the moments, not missing the countryside while driving and so on, but while reading this (and agreeing with it as well), it triggered a thought about value in a different way. This is a very valuable lesson that took me so long to learn, and that was to learn to appreciate--even if it must be after the fact--of everything I go through and every one I deal with, especially if it is not particularly pleasant, because once awareness takes hold, there will be much value to be gleaned from these "bad times," or "A**holes," as I used to refer to them. I've worked with a few choice negative people and when those are in a position of authority over you, that makes it even more frustrating. In looking back after many years at some of these people, I see it was fear, a not knowing or unawareness of how love can be part of our lives all day every day. I'm thinking of one in particular who is now passed, but he was such a thorn in my side and a pain in other areas. Easily one of the most negative people I have ever encountered, yet there were times that he let down that protective facade and you could see his soft and vulnerable self. His grumpiness was not focused on me, it was splattered on everyone below his authority level. And, I knew that he respected my abilities and talents because I could tell that, but he was not very helpful most of the time. I used to go home at night and complain like crazy about him and his attitude, etc. And, through all of that, I love him and learned a good deal from him and about me in dealing with that kind of negative influence. All in all, it was more positive than negative when I step away far enough to see the bigger picture, as it has become with every "enemy" in my life, to the point now that I have none but friends and helpers, though their intent may have been otherwise. It is only been in the last couple of years that I have fully embraced this concept and positive expectation, and I absolutely love it. What a difference it has made in me. How much stronger I have become as a result. How much growth I have experienced in the process. It is perfect. . . now. I Now Find Such Value In The Strangest Places. Spread Some Joy Today--Take a good look at any of the negative people in your life. See how they are making you become more in order to deal with it in a positive way. It's not that they are lessons so much as they are providing you value. If not now, you'll thank them later as you become more aware. nor can we change other people. and how we perceive ourselves." -- Gerald G Jampolsky, M.D. This evening, I was looking at one of my bookshelves and noticed an old favorite that I read in the early to mid-1980s, originally published in 1979 and the one on my shelf was the 25th anniversary edition published in 2004. It was one of the most powerful and simple books that began to change some of my thinking (habits of thought, past training, etc.). It is written by Gerald Jampolsky and titled, Love Is Letting Go Of Fear. Of all the hundreds of books I've read on psychology, self-help and others, I would recommend this book as the simplest and best plan for change quickly. It is so easy to read that you can complete it in one sitting, but is so profound, that you could review it for a lifetime. One section talks about words to eliminate from our vocabularies because they keep us tied to the past, such as, impossible, can't try, limitation, if only, but, however, difficult, ought to, should, doubt, any words that place you or anyone else in a category and more. In another section, he suggests that rather than trying to juggle so many different goals in our lives, or trying to balance our lives, that we instead have one single goal of peace of mind. Here's a great piece about choice: "We all have the power to direct our minds to replace the feelings of being upset, depressed and fearful with the feeling of inner peace. I am tempted to believe that I am upset because of what other people do or because of circumstances and events which seem beyond my control. I may experience being upset as some form of anger, jealousy, resentment or depression. Actually, all of these feelings represent some form of fear that I am experiencing. When I recognize that I always have the choice between being fearful or experiencing Love by extending Love to others, I need no longer be upset for any reason." I enjoyed very much reading through this wonderful book again. If you haven't read it, or haven't read it lately, now might be a good time! You can never have too much love. Love IS Letting Go Of Fear! Spread Some Joy Today--Share one of your favorite books or other writings with a friend! You never know how that might benefit them. come indirectly through accident. . ."
This is one of my favorite quotes by the great inventor, Thomas A Edison, wherein he states clearly that none of his inventions came by accident. No, they were all on purpose. I've read about Edison and how many failures he had in inventing the electric light bulb--over 1,000 as I recall, then magically, the next one worked. It's easy to think it was just a fluke, but the reality is that he set out to accomplish something and focused on it and tried everything he could think of until he finally succeeded. Achieving something by accident would be more like focusing on creating a telephone, then, all of a sudden an electric oven appeared instead. Or, more likely it is focusing on making one thing and ending up making something else, as in how Play Dough came about, or Post-It Notes, Shaklee Basic-H, and such. You set out to create something, fail at it and find that what you did create has a use after all. Back to Edison--it seems to me a wonderful strategy, from everything that I have learned about him, to make a decision and a goal and start moving toward it with conviction, and the rest will play out pretty well with the follow-through. Just Think How Many Things We Would Accomplish If We Used The Same Strategy Consistently! Spread Some Joy Today--When someone around you is complaining, be bold and break their state by changing the subject. Uplift a friend! Prospecting calls are among the worst things for the caller and the prospect until they both desire to and begin to listen. Until then, it is often just "white noise," or chatter. If you're the caller, you expect rapt attention and you most often get irritated denial and celebrated disinterest. If you're the prospect, you hear someone talking about themselves or their company and what they think they can do for you, but most often, they haven't got a clue--and, they always seem to call when I'm in the middle of something and I was hoping it was a prospect for me. It's not hopeless, but it is certainly not a great way to spend time. But, there is hope with a different tact or approach. And, that is the place the consultants run in and offer up all the scripts and magic lines and systemizations to turn the calls into conversions and profitability. The problem is almost always fear and it is not fear of the call so much as fear in general. FDR said that there is nothing to fear except fear itself, and he is absolutely right. People call that fear something they think to be legitimate such as "the economy," or "taxes," or "lack of business," etc. There are all kinds of names for it and it is all just fear. And, the reason that FDR said that at the time he did, was that this fear was making some circumstances change into a contagious epidemic of fear that is transmitted one to another, thereby becoming a self-fulfilled prophecy. It is happening today. In fact it is happening always, but not always in epidemic form. In "normal" times (whatever that is), it is contained, and in those other times, the fear has a tendency to be legitimized and that sets off another contagious epidemic. What can a seller do in this environment? First, understand that it is just fear and that the fear is real to them. Second, even though your product or service may indeed help them recover and prosper, they cannot and will not hear you until you get their attention. We have to find ways to appeal to what it is that they want within what they believe. It is often hard to do that knocking on the front door. It might take some research, or study to learn more about the prospect. Third, develop relationships and network. This will help find ways to influence contacts because even a friend of a friend of a friend is better than a stranger at the front door. It is also common for the seller to become infected during the epidemic and legitimize the prospects reaction. They then have the same excuses and responses that the prospect gives. At this point, it is like trying to take a cross country trip while the car is in neutral. First things first--get the booster inoculation and cure the epidemic, then begin again with a more effective plan. Reality Is Real, Even Though It May Not Be. Spread Some Joy Today--Fear is easy to release. 1. Decide you don't like that feeling and want something better. 2. Turn and walk in the direction of better feeling thoughts. 3. Keep going. than having what you want." I've been feeling prosperous lately, and I realized that this is a new feeling. I've been a part of chasing money most of my life and though I caught some of it, it wasn't like it made much of a difference in the way I felt. I could just buy more stuff, pay things ahead, make different plans. So, I'm not indicating that having money is in anyway bad, because in fact, I liked having more money after all. But I didn't really feel so much more prosperous. Instead, I started setting my sight higher. A lot of people in the last few years have gone backward financially, or at least they are more concerned about where they are and the strength of their position and so on. I think we associate being less prosperous with having less than we once had. I suppose that would be true in the other direction as well. And, if you lined 10 people up to judge your prosperity, it may be judged as many as ten different ways. It is a matter of opinion for sure. But you know, I've had a revelation about prosperity of late, and it's interesting to me to say the least. I would have to admit that based on the financial past, I've slid down a few rungs, but what's fascinating about that is that I feel more prosperous than at the highest point I've ever experienced. Why? Because I have realized that prosperity has no monetary or any level values. It is purely a feeling. To feel prosperous is to be prosperous. To not feel prosperous is to not be prosperous. What's even more than this is that it is just like the quote above: Prosperity depends more on wanting what I have, than having what I want. It's a fallacy that one has to be unhappy or displeased with where one is at in order to move toward something better as if it is all about motivation. I think the opposite is more true. One thing about this is certain--I like feeling prosperous! I like feeling that I don't need anymore, but that will never stop my desire for more. In fact, my desires for change will never stop and that is a good thing, and being appreciative of what I have and where I am is the surest springboard to seeing more of them come true in reality. So feeling prosperous is mainly a decision, not a circumstance. If I appreciate what I have however much it may be, I am prosperous. I Toast Your Prosperity! May You Carry That Feeling With You All Of Your Life! Spread Some Joy Today--Appreciation and prosperity are one in the same. You prosper by what what and mow much you appreciate. Any time you think you might want to question this reality, the first question should be, "compared to what?" I've come to a very interesting place in my travels. There is much that I want, yet I feel that I need so much less than I have. I have learned how to enjoy the journey regardless of the circumstances or results. It is a rather joyous place to be and by and large I keep it to myself, enjoying it myself. I share little bits with some, but keep most of it as private enjoyment. I remember phrases in my early twenties as "learn to stop and smell the roses," and such. I always thought that was referring to leisure, not as a pastime, but as a focus and escape from the toil of the daily grind. Sometimes people call it vacation, holiday, TGIF, the weekend, the long weekend, and more. I did all that and it didn't really change much of anything. It was almost as if it was just a different kind of activity. Even on vacation, there was an agenda. Sightseeing, time tables, bus trips, road trips, and other activities that somehow become expected. Then I took a vacation trip to Maui in the mid-nineties and for ten days did no important activities, and the most important agenda was nothing. I read two John Grisham books cover to cover, walked on the beach, stared at the ocean, adored the environment, and had the best vacation in my life. I wasn't travelling all over trying to experience everything, but just experiencing being still and rather unfocused. It was glorious. Today, I realized that I have accomplished this and I was very pleased with myself. I was sitting in my truck waiting for someone to show up. It was about 85 degrees and the sun was hot, but the breeze was pleasant. I was watching people move around me and absorbing the sunlight and heat and breeze and the lack of need of anything or anyone. I thought, this is bliss! And it is especially good to take these moments or spaces and embrace them and float with them as if I am floating downstream on a calm raft. There is plenty all about me and I'm aware of no lack, no worries, no concerns, no agenda, no duties. What a glorious space. Spread Some Joy Today--Try being a taker today. Take moments, minutes, spaces, wherever they may be that you can take for yourself alone, and go with it. At first it may seem as a "guilty" pleasure, but I assure you, it will easily become bliss.